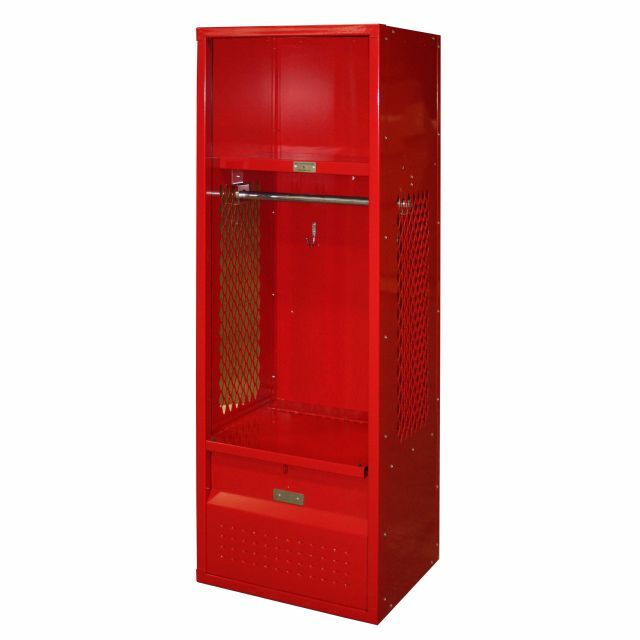 These Team Lockers are available on www.buyusedlockers.com where they have a huge selection to choose from if we need additional supplies. 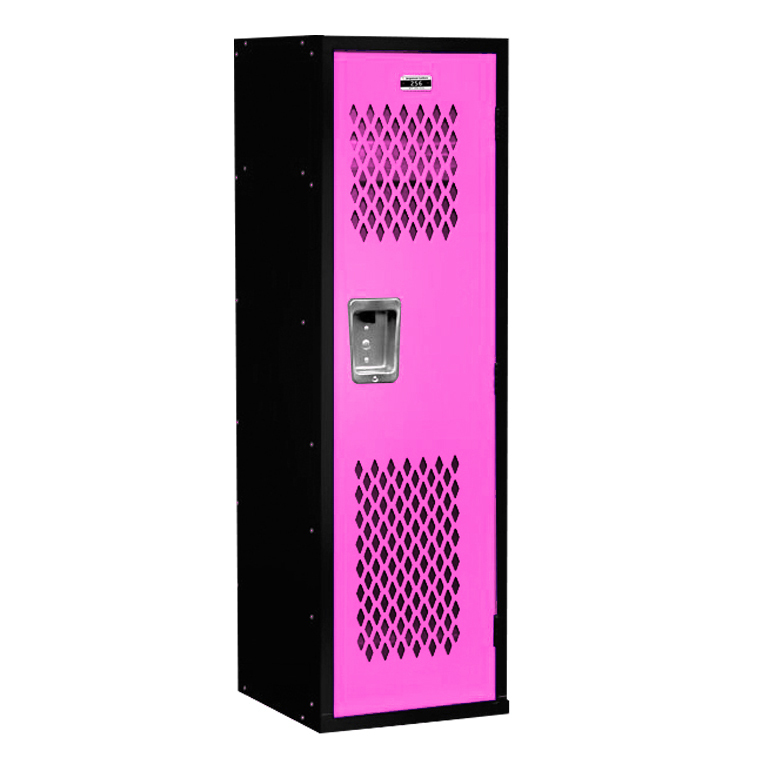 These fun, durable lockers are designed with kids in mind and are perfect for organizing kids' rooms, garages, sports themed bedrooms, game rooms, mud rooms, and school rooms. 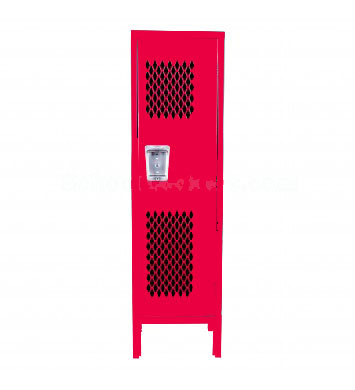 The perforated door design gives them the look of athletic or team room lockers which will make the perfect sports themed storage area for your child. They are the perfect size for kids of all ages in a large 15" wide x 15" deep size to discourage tipping and 48" high overall. These are manufactured to the same durable specifications as our premier line with heavy 16-gauge lockable metal doors and frames. 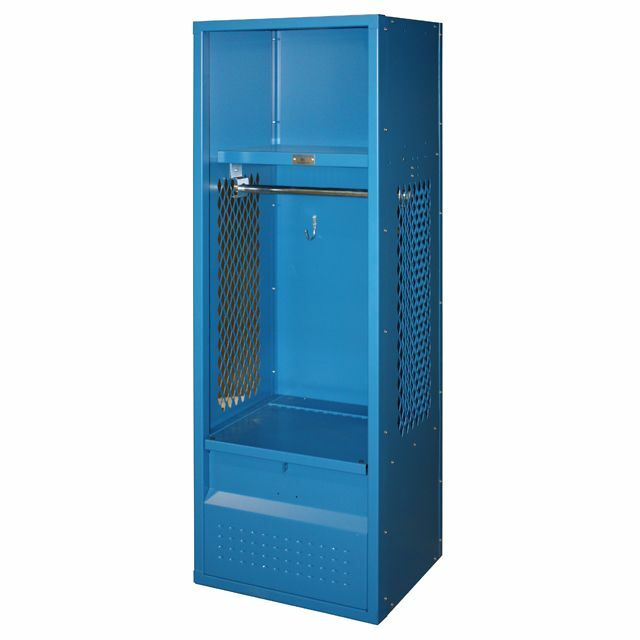 The interior includes hooks for clothing or coats and an upper shelf for convenient storage and access of kids sports memorabilia, kids trophies, games, books, hats and any other personal valuables. 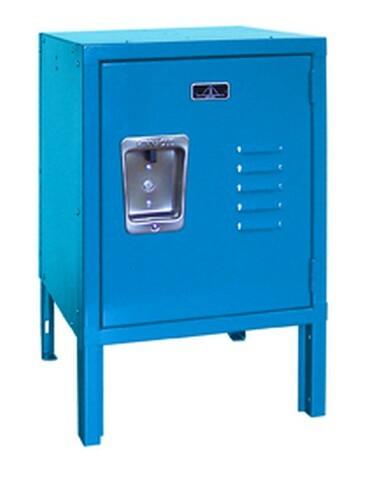 Kids Size: 15" wide x 15" deep size discourages tipping, 48" height is perfect for kids. 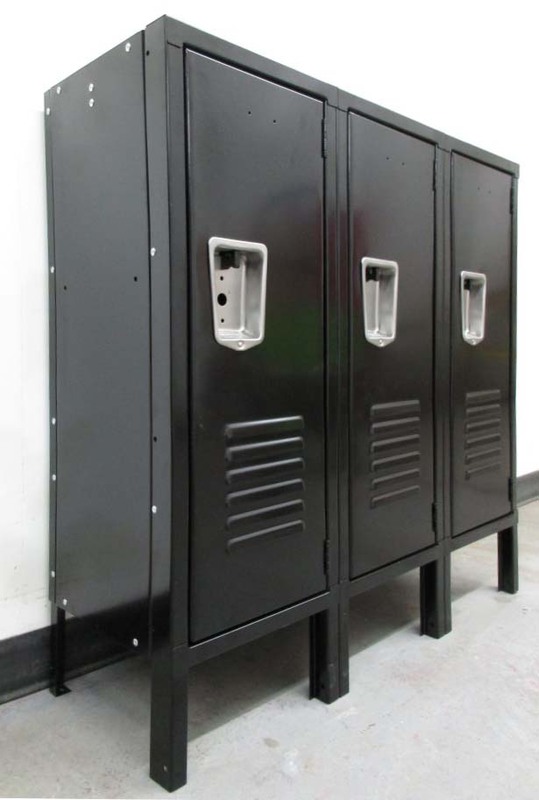 Doors: 16-guage perforated metal doors and 16-guage reinforced welded channel frames for superior rigidity and durability. Latching: Secure three-point latching to prevent prying and keep valuables secure and safe. Hooks: Includes 2 single prong wall hooks and 1 double prong ceiling hook. Shelf: Includes convenient upper hat shelf. Handles: Stainless steel recessed handles for aesthetic appeal. Catch-free handles eliminate protrusions from the face of the locker door. 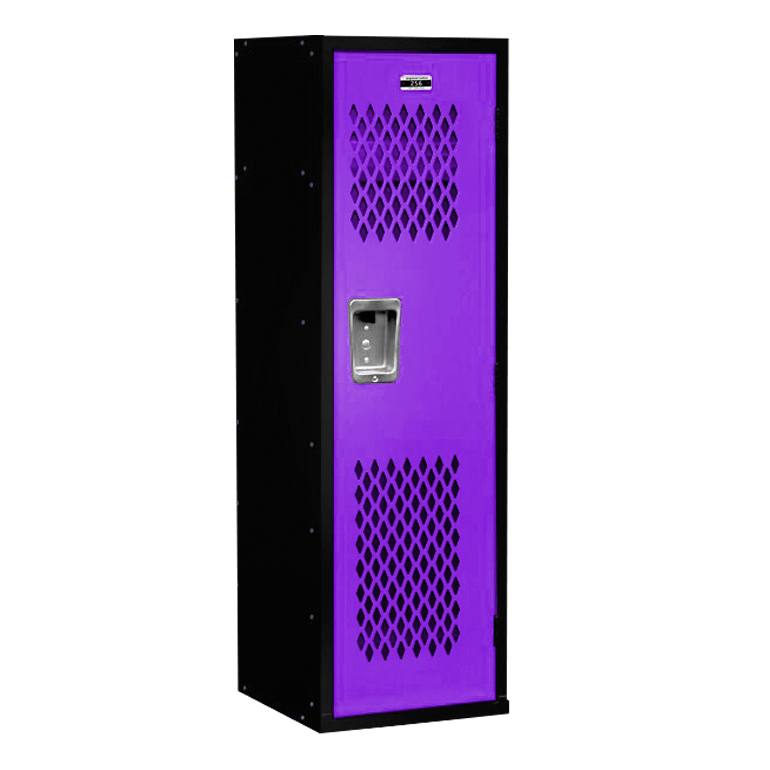 Powder Coated: Premium paint process that provides a durable, attractive and scratch resistant finish. Ventilation: Perforated doors promote increased ventilation. Continuous Door Strikes: Prevent latch and frame damage. Quiet Features: Includes unique nylon glides and rubber bumpers to minimize noise and provide smooth operation for years to come. Lockable: Accept multiple options including built-in combination locks, combination padlocks, built-in key locks, and keyed padlocks. Number Plates: 1 and up are inlcuded with each order unless you indicate otherwise.